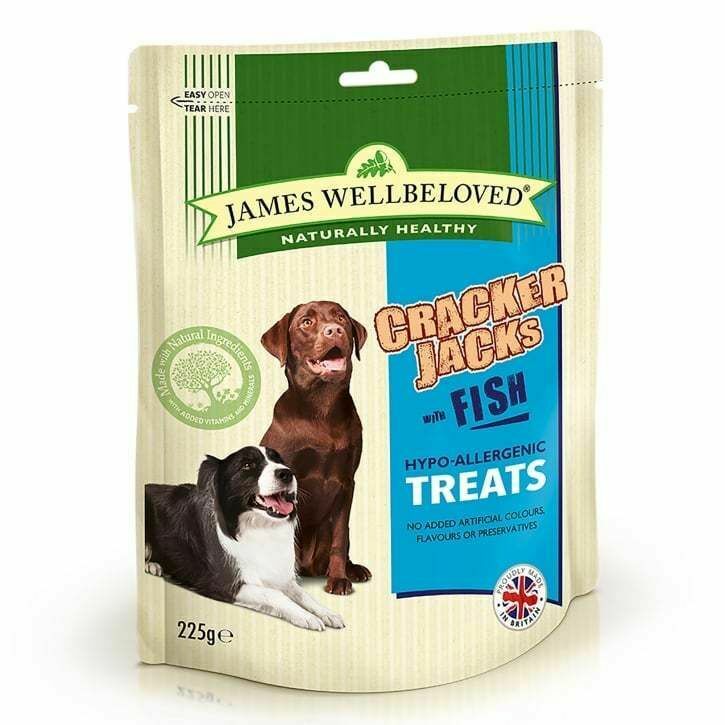 Made using only the very finest British ingredients, James Wellbeloved Fish Crackerjacks are hypoallergenic dog treats that are completely free from ingredients that may trigger food allergies or upset sensitive stomachs. 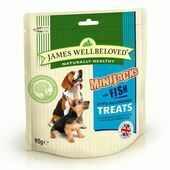 Delivered inside resealable pouches that help to keep the treats inside fresh, these dog biscuits contain white fish as their only source of protein and also incorporate tomatoes, rice, parsley and thyme. 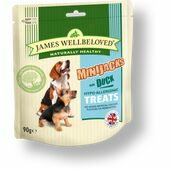 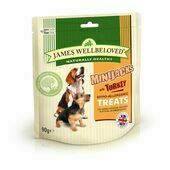 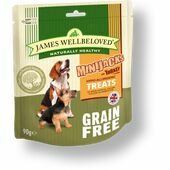 Free from beef, pork, wheat, soya, dairy, and eggs, these hypoallergenic dog treats from James Wellbeloved have been enriched with an assortment of essential vitamins and minerals and are made without any artificial additives to ensure that the quality of their wholesome ingredients are not lowered. 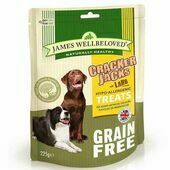 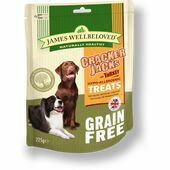 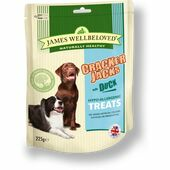 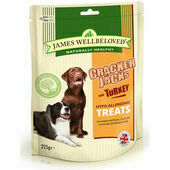 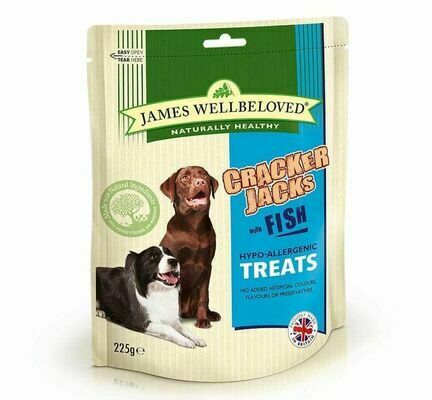 Perfect for dogs with food allergies, sensitive skin, or easily upset tummies, James Wellbeloved Crackerjacks Fish, Rice & Tomato Dog Treats have been designed to complement hypoallergenic diets by providing pets additional protein and fibre. Analytical Constituents: protein 15.0%, crude fibres 4.0%, fat content 12.5%, crude ash 4.0%.